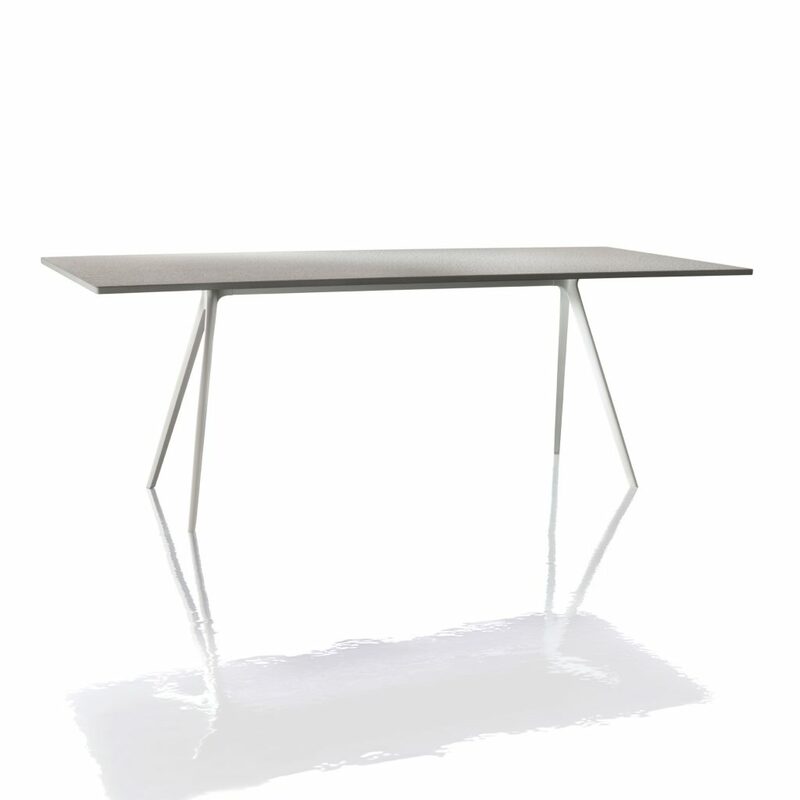 This table design by Ronan and Erwan Bouroullec gives the illusion that its heavy top is floating—supported only by “chopstick-looking” legs. 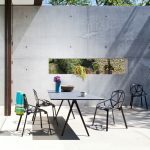 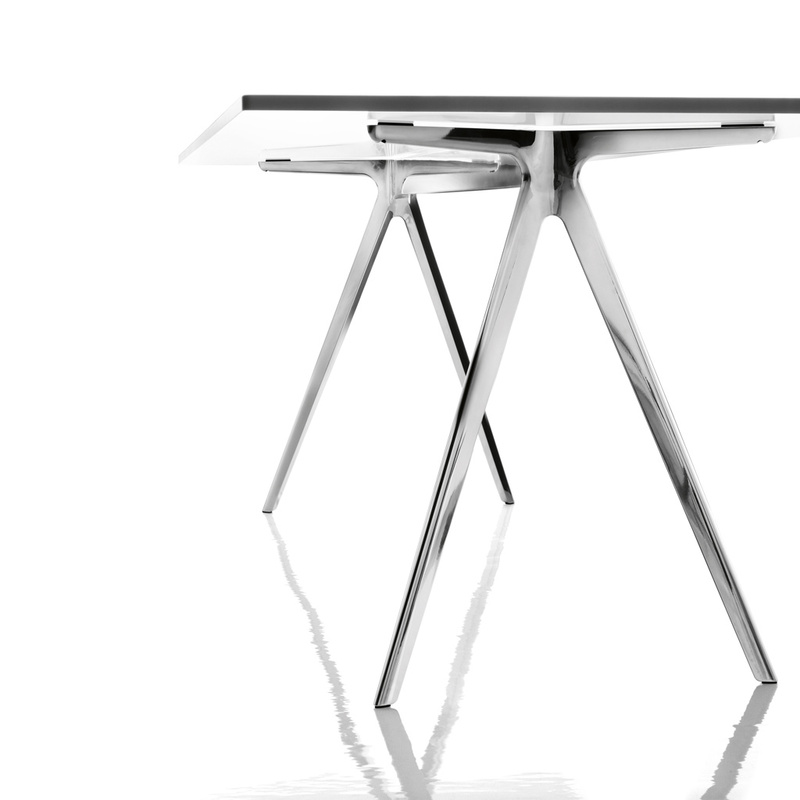 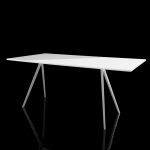 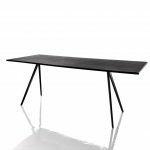 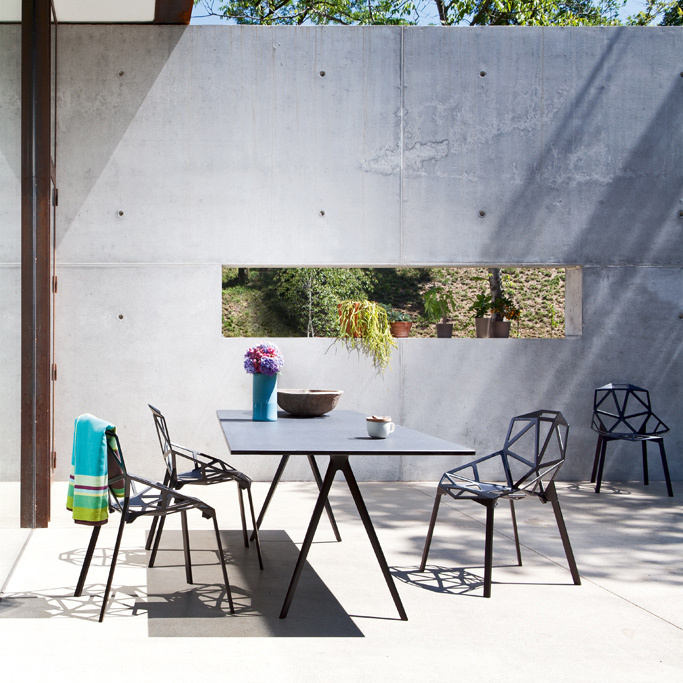 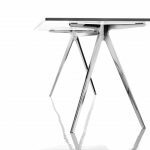 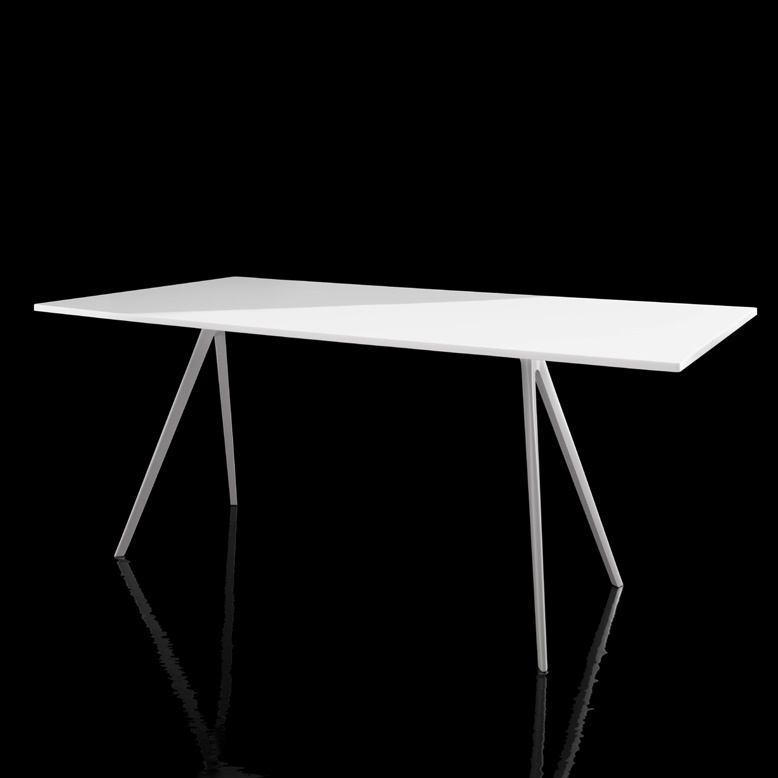 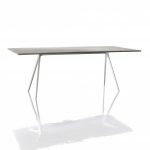 The tabletop, available in a variety of options, is removable; the base can be polished aluminum or powder-coated black or white. 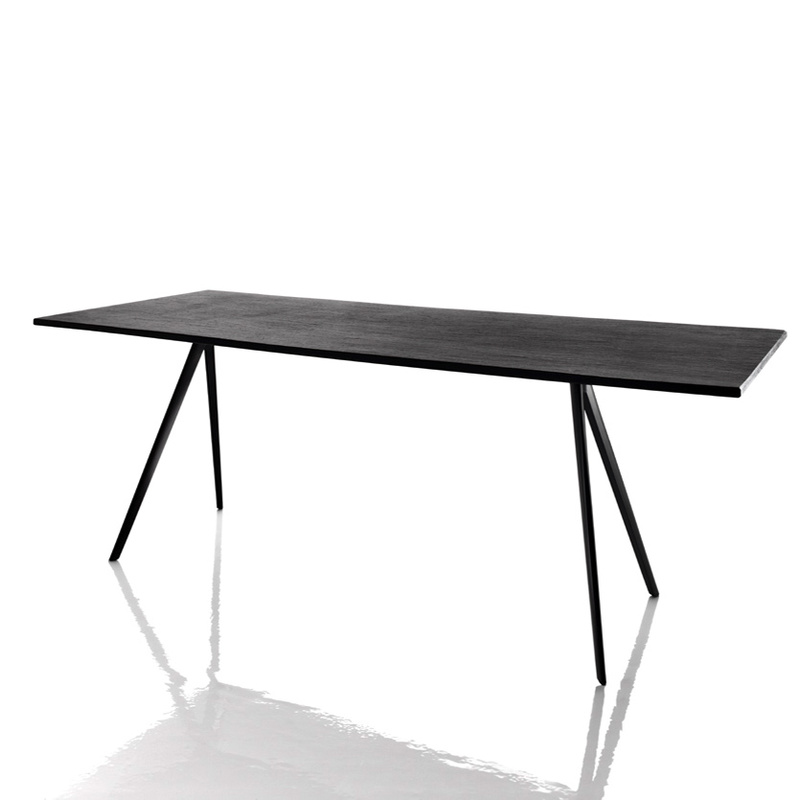 Minimal and versatile, it makes a statement anywhere it goes—from an executive office to a dining space.